After yesterday’s sizzling street food magic of Mumbai, we are back to more traditional recipe. During one of my more experimental days, I had made a spicy version of the Neer dose and actually managed to find time to click pictures too. I was desperately trying to fit it in somewhere during this month but like I said, my blog would turn into a Karnataka tourism brochure. So I have filed it away in my magic folder for now to be used later when it would be more desperately needed. And if you know me, that will be very soon. Today’s dish is from the state of Arunachal Pradesh. This is my favorite part of the mega marathon when we discover similarly structured dishes across cuisines and states. The khura is a nearly instant kind of dosa made with buckwheat flour. I have blogged about too many rice based dosais that this break from it will be a good one. Also, as luck would have it, I had just the right amount of buckwheat flour in my refrigerator which needed to be done with. Usually the khura is simply the mixture of buckwheat flour, water and salt. But I had a small amount of finely chopped veggies that needed to finished and so added it too. Check out other recipes with Buckwheat flour – Ajdov Kruh and Chia Seed Cookies. Buckwheat flour Dosa’s sound interesting , they look spongy and it’s a great idea to serve these with some veggies . Arunachal Pradesh is a state where it would be hard to find dishes , and here you have a awesome Dosa ! Love those tiny dosas made with buckwheat. Adding veggies adds to the nutrition of the dosas and it is easy to feed kids too. Those mini dosas looks awesome and prefect to please kids easily. Love that you have added vegetables to bring more nutrients to this healthy pancakes. Very interesting one. To find a vegetarian dish from the North east is so tough but this is a gem! these buckwheat dosas look so spongy even without any fermentation or leavening agent. Will try these navratri. Thanks a bunch Ritu. Am still in the experimenting stage of the blog look…wild finalise soon! Healthy and delicious pancakes, love the addition of vegetables to it. love these mini flatbreads Sowmya, they look so adorable and not to forget healthy too. A great find for letter K.
When researching for recipes from Arunachal Pradesh, I had a hard time choosing one. I am amazed at this recipe and this is so simple to make. Looks awesome and the texture is just marvelous. That’s a wonderful find Sowmya and lol on your another dosa from Karnataka. 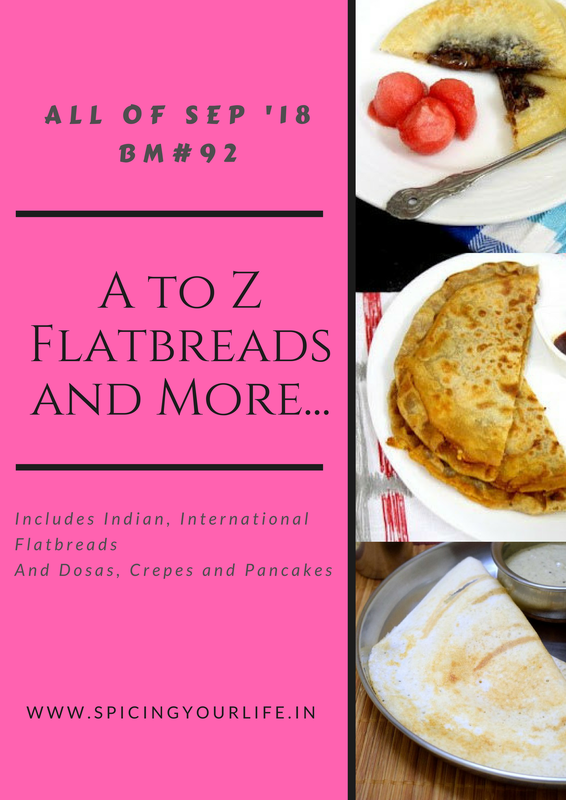 gosh they have a dosa for each letter..Me thinks somebody very early wanted to do a AtoZ series..hehehe..this one looks fantastic.. This buckwheat pancakes are so tasty and healthy dosa. Those mini buckwheat dosas look so cute and so healthy as well! It is so difficult to get a vegetarian recipe from Arunachal Pradesh is so tough but you have discovered a gem!